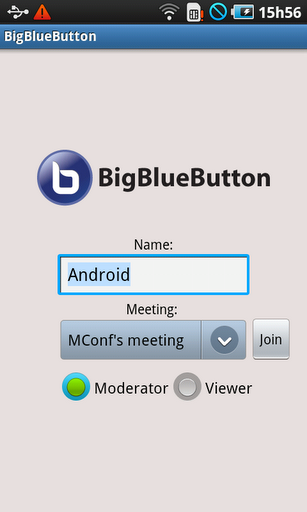 Felipe Cecagno, a member of the GT-Mconf team working in the Laboratory of Prav (located in the Institute of Informatics, Federal University of Rio Grande do Sul, Brazil) posted this message to bigbluebutton-dev giving an update on their progress to create an Android client for BigBlueButton. Progress is good. They posted this YouTube Video showing a working prototype (chat is now implemented). Kudos to Felipe and his team! You have really impressed us! With an Android client now in play, could an iPhone client be far behind? Get updates about BigBlueButton right to your inbox.